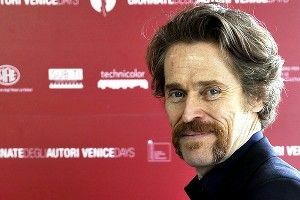 The point: Dafoe’s been through the Lars Von Trier ringer in a most extreme fashion — and he’s coming back for more! I have no actual knowledge of the proceedings, but I’m gonna go ahead and assume Dafoe’s acting as Shia’s personal LVT mentor. LaBeouf has said he’s scared of Von Trier. He probably needs a pep talk every once in a while? “Look, kid, I know you’re tired, and frightened, and totally weirded out. He wants you to get naked and pretend like you’re being chased through the back alleys of Cologne by a drunk ghost. I get it; that’s very odd. But the last time I worked with Lars he had my balls gets smashed by a block of wood. And look at me! I signed up for his new movie, and it’s called Nymphomaniac!” That kind of thing.